Over 156 episodes, The Twilight Zone gave us some incredible performances from actors who would go on to greater fame in their careers: actors such as William Shatner, Lee Marvin, Jack Klugman, Burgess Meredith, Peter Falk and many more who all appeared on the show. 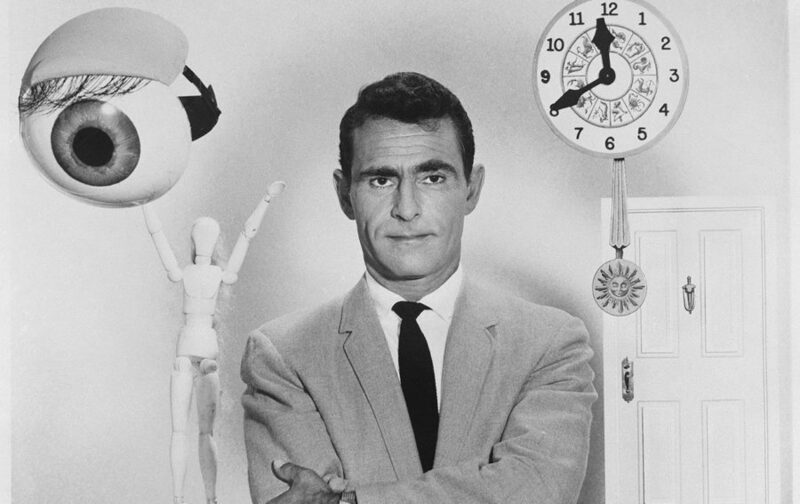 The only person to appear in every episode was Rod Serling himself, who not only provided the voiceover for the opening title sequence for all five seasons, but also appeared on screen introducing that week’s story from season two onward, and again at the end to give audiences a teaser of what was to come. The iconic floating door in the title sequence would not actually appear until the fourth season, and the famous theme would not appear on the opening title sequence until the second season. Serling provided the opening narration when his first choice for the job, Richard Egan, was unable to do so. I am glad that Serling provided the narration himself, because his voice has a mysterious and interesting quality to it; the way he enunciates and emphasised words really gave a sense of gravitas to the narration. 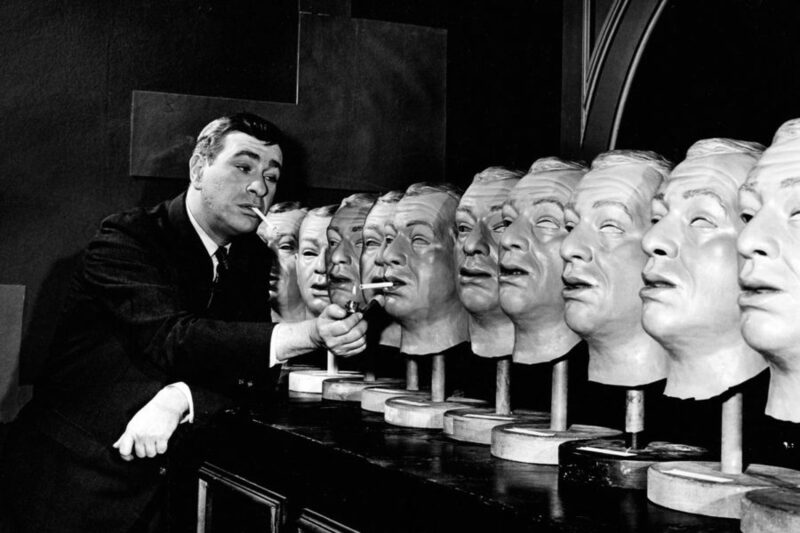 The Twilight Zone would not only push the limits of what could be done on television at the time, but would also experiment with methods of production. During the second season, they shot 6 episodes on videotape to see how well it would work, but the results were not satisfactory because the image was lacking the detail of film, and because the frame rate was different, the motion looked odd. Add that to the difficulties of editing video tape at the time – it wasn’t long before they returned to shooting on 35mm film. After three seasons of 25-minute episodes, the series was moved to a longer timeslot, and season four’s episode lengths doubled to 50 minutes with mixed results. Some stories benefited from the longer run time, although some of them felt too drawn out, and plodded along at a slow pace. The producers themselves did not like the idea of the 50-minute episodes as they felt that the episodes worked a lot better with the shorter 25 minute runtime. After the fourth season they returned to the 25 minute episodes for the fifth and final season of the series. The main writers for The Twilight Zone were Serling himself, Charles Beaumont and Richard Matheson; between the three of them they all wrote 127 of the 156 episodes produced. 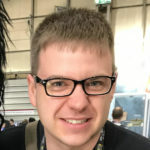 Most of the other episodes were written by freelance writers – sometimes iconic sci-fi writers such as Ray Bradbury loaned their talents to the production to write one or two scripts for the show. The episodes often dealt with moral and ethical issues and included twists at the end, some of which have been parodied into the ground. Notable twists include the “To Serve Man” episode, in which the titular book is translated at the end and discovered to be a cookbook. These twists were at the time a complete shock and difficult to predict. The way the stories were presented sometimes informed the way the episode would be shot as well. For examples, the famous episode “Eye of the Beholder” had to be filmed in a specific way or the twist at the end would have been obvious. Because of these shooting requirements, episodes would sometimes be way ahead of their time in the use of lighting and cinematography for television, which at the time was not a considered high-quality entertainment. Watching the episodes now is quite interesting, because the stories have been parodied so often that you can find yourself in the middle of an episode and then think to yourself, “I know how this ends because I saw this in [insert comedy show]” The first time that it happened for me was watching the fantastic episode “Time Enough To Last” which had been parodied on Futurama’s show within a show “The Scary Door,” which itself was a parody of The Twilight Zone. However even though some of the twist endings are ruined by popular culture, the shows are still as enjoyable and interesting to watch because of the fantastic writing and great performances. 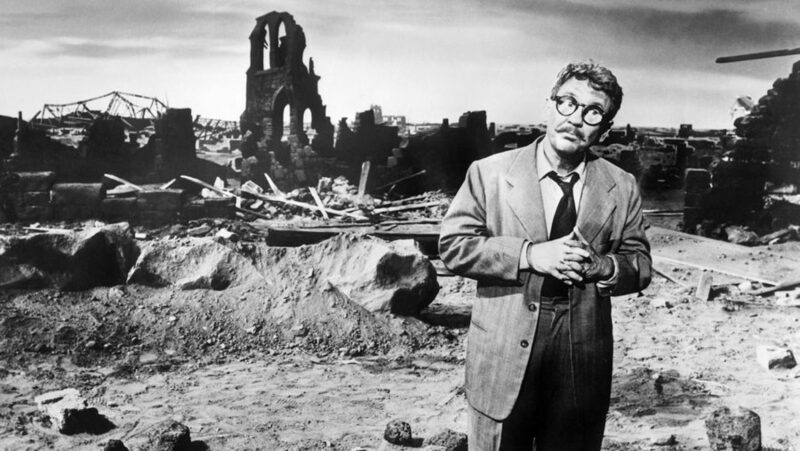 The episodes that Burgess Meredith appeared in are a particular personal highlight. He was able to give comedic and serious dramatic performances in a variety of different episodes. 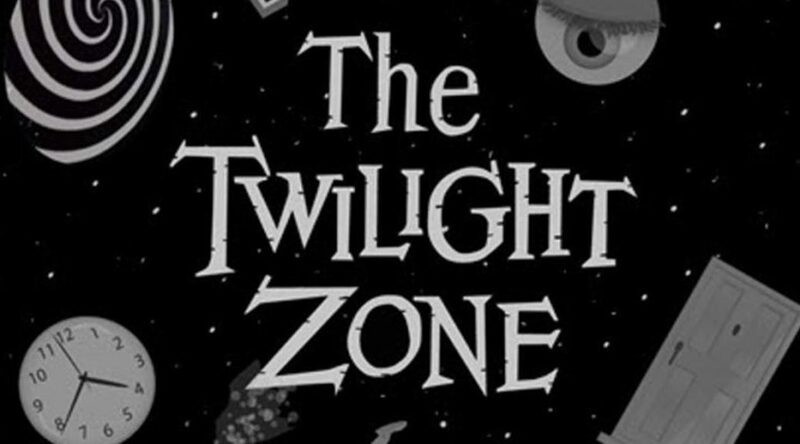 The Twilight Zone was cancelled after its fifth season. Another network, ABC, was interested in picking up the show, but they wanted the show to focus more on the supernatural and wanted to rename it to “Witches, Warlocks and Werewolves” because the network wanted to distinguish it from the sci-fi series they already had – The Outer Limits. The Outer Limits is often compared to The Twilight Zone due to their similar styles of storytelling, even though The Outer Limits had a greater emphasis on Sci Fi. Serling hated the idea; he liked that in The Twilight Zone, each episode could be about anything, not just supernatural beings. The legacy left behind by The Twilight Zone is there for all to see. It influenced so many writers and still influences them today. It has been revived multiple times as a TV series – a new version is set to air later this year. Rod Serling and his team crafted a series that captured the minds of its audience like no other show had done before, and each week told a unique and interesting story that could be horrific or hilarious. It crossed the lines of genres so effortlessly from week to week, and imprinted onto the cultural zeitgeist like no other show. The reason it is so parodied to this day is because it is so recognisable; show anyone a picture of the door from the opening credits and they will be able to tell you that it is from The Twilight Zone. They may even whistle the opening bars of the theme tune to you. Even though some of the episodes may seem dated to people now, there is no denying the fact that the quality of the writing still holds up. It’s important to remember that without The Twilight Zone, we would not have shows like Black Mirror, which is essentially The Twilight Zone of the 21st Century. Even though there is a new updated reimagining coming with Jordan Peele taking the helm. 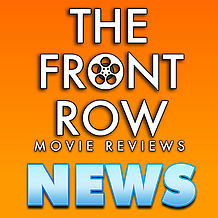 I struggle to believe that it will come close to capturing audiences the same way that the original did. In today’s television landscape it is difficult to be as groundbreaking as shows like The Twilight Zone were in their day. I am not dismissing the new series though. I will tune in, and I will watch, and hopefully I will be pleasantly surprised. If I am not, then I still have my box set of the original to dive into and enjoy.